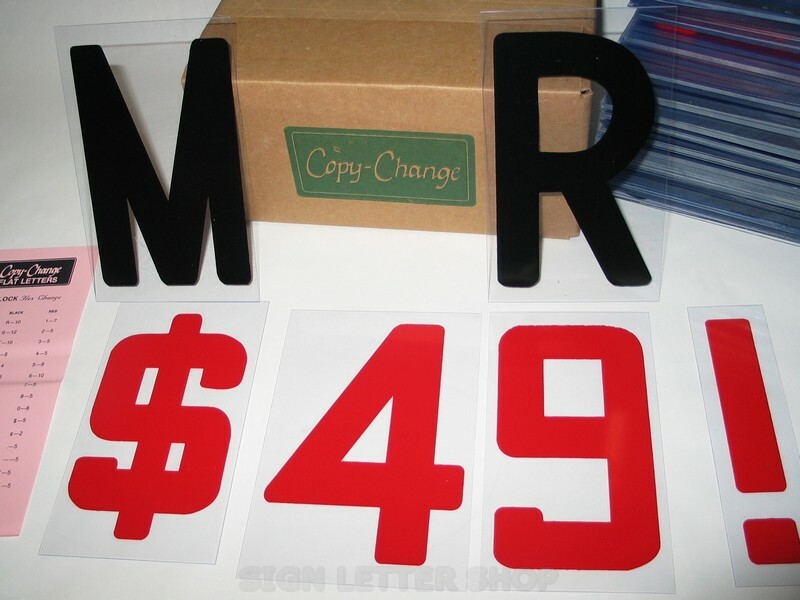 Set of 299 Copy-Change Block style flexible plastic sign letters. The 6" Block letters are printed on 6 7/8" high clear UV protected plastic panel or backing and is .030 mil's thick which about as thick as a credit card. Block style letters are about 1 inch wider than condensed letters and easy to read and commonly used with Portable Marquee Signs and Outdoor Reader Boards. 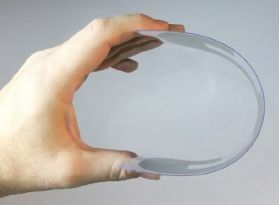 5 each - 2 3 4 6 7 8 9 $ . - * ! To place on the sign they flex or bend and inserted into the slots in the signs tracking. These letters work with signs that use .030 flex letter track sometimes called "Texas Track". To make sure the letter fits your sign measure the height of your signs exsisting letters. If you don't have any letters to measure cut a piece of poster board 6 7/8 inches high to test to see if it fits. Note: These letters are not recomended signs with letters behind enclosure doors, vandal or window covers or used with letter changing arm poles. Refer to DR Acrylic Letters for enclosed signs . These are NOT the kind of letters used to replace Rigid letters, Gemini Letters or Zip-Change Letters. Rigid style flat plastic letters are mounted on the sign using a different type of tracking "Push up drop down track". 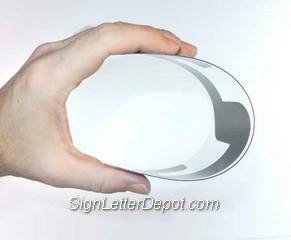 If your not sure of the type letter or track your sign uses read our letter buying guide to help determine the type letter your sign uses.